The headset promises to seamlessly blend the digital world with reality. Magic Leap, an augmented reality (AR) startup, has promised the world something incredible. The company has so far raised over $2 billion without ever releasing a product. The pressure is on given that they have officially announced they will offer an AR headset to developers in 2018. Shipping availability, exact dates, and price are still unknown, but the release of this headset is big news for a company that has garnered so much excitement without a tangible product. 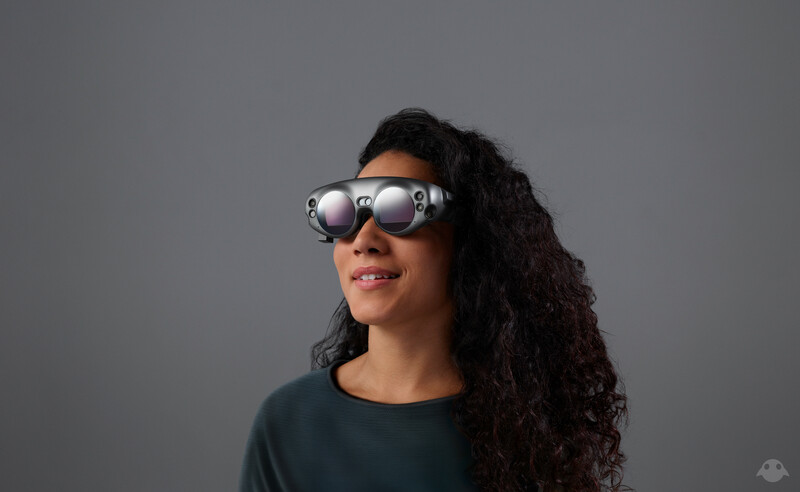 On December 20, Magic Leap changed its website to incorporate and showcase their new augmented reality headset, which seems to be designed like retro-futuristic goggles. Called Magic Leap One, the goggles will combine reality with digital images in a way that promises to feel organic and comfortable, blending the real world with the imagined in a way that’s supposedly never been done before. The goggles are designed to not only provide realistic blended imagery, but also allow the user to wear them for long periods of time. If this proves to be true, it will be an advancement over other AR technologies that quickly leave users dizzy and even nauseous. Of course, Magic Leap is being secretive with the inner workings of this mysterious product. But the company has been reportedly working on this headset since 2011, and it is known that it will require a “Lightpack” device that provides power and computing to its sensors. It is unclear how large or heavy the headset will be. In 2014, the company allowed a select few to view its progress, blending images of monsters with the 3-dimensional world around them. But this exciting achievement was made possible by large machines instead of wearable devices. Nearly four years have now passed. It’s within the realm of possibility that the company has not only improved its imaging abilities, but that they have figured out a way to scale down the technology and make it wearable and user-friendly. If they pull it off, it could make our technologies truly come alive.